2013 Top posts #1 (your choice) – Shh! The introvert is preaching. It’s a good question because it seems so counterintuitive at first. The last person he had met was well-known, with a large church and an an international reputation. How could such a person be an introvert? And yet we know it’s also bang on. That same person, comfortable in the pulpit and behind a lectern, hated the conversations over coffee that followed. He hid in another room until it was time for the next lecture. Preparing? Focussing? Or just being unapproachable? I know that he was missing out on conversations with keen young Christians that they were desperate to have. But because of his big reputation he was allowed to shut himself away. I’m torn in two over this because I see both sides. I’ve recently read ‘Quiet: The power of introverts in a world that can’t stop talking‘ by Susan Cain, and it is enormously stimulating. It’s a book that introverts (like me, OK? I admit it) will love. And it’s dangerously plausible. It’s plausible because her central thesis is right Ever since the distinction between the two personality types was made in the early twentieth century, the assumption has been that normal, healthy people are extroverted. Introverts are somehow defective and need ‘bringing out of their shell’ for their own good. Susan Cain is writing to reset that balance and she’s right to do so. The task of being a preacher requires hours of study. Introverts take to that naturally, and extroverts need to find work-arounds. I know one extrovert who prepares in the family room with the TV on, and another who has other staff members sharing his office. That horrifies me! But I have to remember that he faces the prospect of a study day with some anxiety. Not delight. Introverts revel in study days. And Cain would encourage us to do so. But sometimes (often?) too much. I know I can use the need to study and write as an unarguable defence against people. The task of being a pastor requires me to love people. Introverts don’t take to that naturally – or, at least, not to all the aspects of it. I’ve learnt workarounds for that, and perhaps you have too. For instance, I can handle a crowd of people I don’t know if I have some kind of a role. I’ll grab a tray of sandwiches and then I can work the room as easily as Bill Clinton. Put me behind the bookstall or handing out the welcome leaflets. I’m fine as long as I’ve a way to break the ice, and that is the hardest thing for me. Our personalities are both created by God and defaced by sin. Why does that obvious point need making? Because the widely-used personality tests don’t work with that model. They tend to assume that your personality is the way you are – and that’s it. But it isn’t. I’m grateful for a book like Quiet because it allows me to say that one part of me is good and the way I am. But that can easily become selfishness. And a pulpit or lectern can be a selfish place, where I am alone with my own thoughts in public, with no-one to relate to or love. The actor Barry Humphries says that after a day of meetings and interviews he loves walking on stage in front of 3,000 people because he feels alone at last. Recognise the feeling? That may be fine for a performer but it’s deadly for a preacher. Under the guise of loving the flock I end up just loving myself. Ask yourself what type of personality Jesus had. You probably had the same thought as me, that he’s too big to fit one type. He had all the strengths of the extrovert and the introvert (and all other variables) and could deploy them as he needed. Comfortable with a crowd, a conversation or by himself. So, by becoming like him I will find myself both affirmed and transformed. And isn’t that what we want? One final thought about Quiet. She’s really wrong about Christianity. She visits a well known mega church and finds little space to think or process – possibly a fair comment. But then she blames the gospel because we are people of the Word and want to talk about things. That means we value the extrovert. On the contrary. It’s that Word which speaks to me individually and draws me into relationships with God that also draws me towards His people and that takes me out of the sinful sides of my personality into being more like Christ. And that’s got to be good. Where do you put yourself on the extrovert/introvert axis? How is it you can manage to deeply different facets of your personality in different contexts? What workarounds have you developed for your personality? What sinful habits and excuses have you developed for your personality? 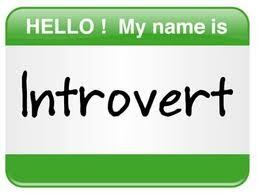 Does your church value introverts as much as extroverts? Use the comments below to share any workarounds you’ve developed, whichever side you play for. Interesting stuff, thanks Chris. Much to think about. It’s a very interesting book, Rach. I’ve not read it but enjoyed her TED talk. The book is on my ever-growing must-read list. Maybe one day? Good stuff. I was thinking (OK ranting to myself!) the other day about this when I saw the poster for Quiet on the tube and remembered chats I’ve had with folk about the whole introvert/extrovert thing. I know that’s more or less what you said, and you said it better. But as an extrovert it’s simply part of my nature to wade into discussions when I’m not asked to! That’s about it, Levi! I think Quiet is helpful in allowing some I people not to feel as guilty as they might. But I don’t want to lock us into unhelpfully small blocks. Very helpful, and I’ve seen the ‘introvert preacher’ a number of times. I thought I was an introvert myself until I went to Oak Hill, where by comparison with lots of others, I was a raving extravert!! Thanks Chris – I’ve seen this with a hugely well-known preacher who could ‘hold thousands in his hand’ from the pulpit but crossed the road to avoid meeting people and having to engage with them – a man who was painfully shy. I think it was said (possibility by yourself) that there are two types of pastors – the ones who have to force themselves into the study & the ones who have to force themselves out of it. The old ‘mornings in the study and afternoons out of it’ maxim sounds like a good model for all types. Appreciate all these blogs – even when they nail me! And there was me thinking I liked to do prep work in cafes because I liked the coffee!! Thanks- interesting book and thought provoking post. I often wonder whether it would be interesting to play role reversal a day a week. Have fun in the library! As I understand it, we can all switch when we need to – it’s how we recharge that is the critical issue. Just been pointed here by a friend I was talking to about Susan Cain’s book. I found as I was reading it that when she talked about churches, or brought Jesus in as an example, she was somewhat off-key, but the main thrust of what she was saying still made sense. I think you could use her book as an excuse to be selfish and self-centred, but that that would go against her intent. She had a whole chapter on “behaving like the other”, with helpful thoughts about building in “restorative niches” (her phrase) to cope with it. I finished the book feeling I’d learnt a lot about how differently people are wired (speaking as an extreme extrovert), and better able to recognise where I’m weak and need to grow. Rather than giving me an excuse for sin and selfishness, it gave me tools to fight it – though another reader may have felt the opposite.